Scarborough Council’s cabinet has voted to ditch plans to bring in winter parking charges across the borough. The executive met today (Tuesday) following a damning meeting of the council’s overview and scrutiny board yesterday in which councillors and business owners attacked the “confusing” plans. The cabinet voted last month to implement a £1 for 24 hours charge for parking in some of the borough’s car parks from November to March. There was previously no charge. However, the cabinet today voted to bring in the residents permit for a trial period next year but without the winter parking charge element. 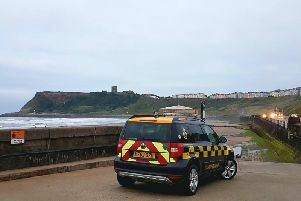 It followed a call-in by Independent councillor Janet Jefferson, who argued that as parking was split between the borough and county councils on the seafront of Scarborough and Whitby it would lead to “confusion”. The decision to drop the winter parking charge will leave the council having to find £84,000 to cover the cost of the permit scheme for its first year. Despite the approving change, some councillors on the cabinet still expressed support for charging during the winter months. Cllr Sandra Turner (Con) said: “We really did want to see the implementation of residents permits and the reduction in the charge for them but there’s always, as with everything in this council, a financial cost to that and what concerns me greatly is trying to make the savings required across the board. The cabinet voted to drop the winter parking scheme and send the plan to the authority’s full council meeting in January. During yesterday’s overview and scrutiny board call-in of the parking charges Scarborough seafront-based businessman James Corrigan outlined the opposition to the scheme.